One of my favorite things about summer is homemade ice cream. I have already made several different ice cream recipes this summer, including my favorite pistachio with chocolate chunks and a homemade orange sherbet that my kids couldn’t stop raving about. But, you know, I don’t exactly need to be eating real dairy ice cream every day. It makes me so sluggish and blah the following day every time. So yeah, that’s where this Paleo Strawberry Ice Cream came in. 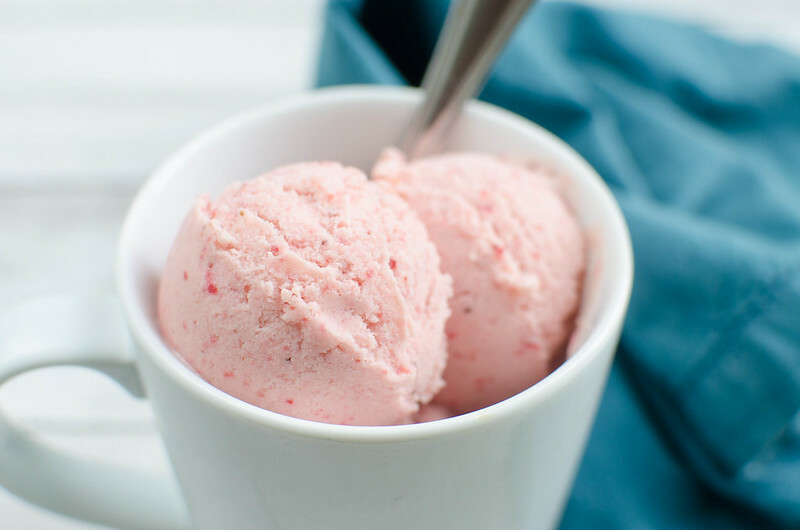 Paleo ice cream is actually really easy. Like, even easier than regular homemade ice cream because the coconut milk just doesn’t seem to scorch as easily as heavy cream. Tell me I’m not the only one that always scorches the heavy cream. So paleo ice cream is just coconut milk (the canned kind, not the kind in the carton in the refrigerated section) with honey and egg yolks. You cook that down until it’s nice and thick and then chill it overnight. 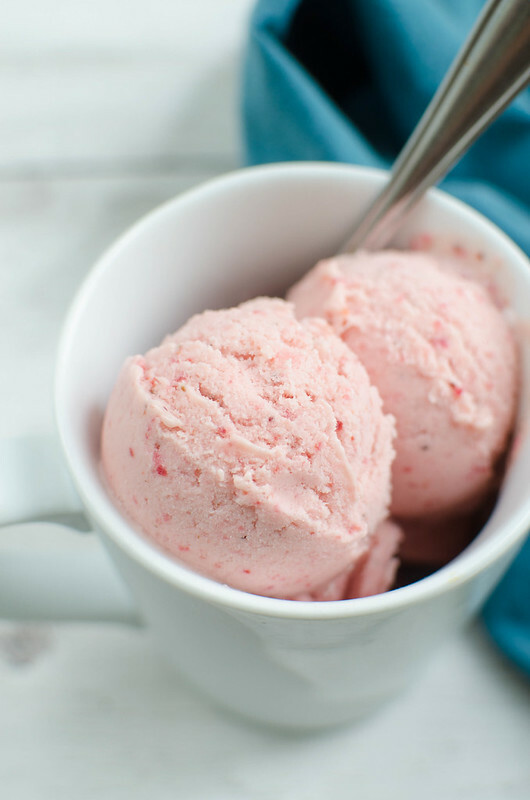 After that, you blend it up with your fresh strawberries and then freeze it in your ice cream maker. So easy, such simple ingredients. I love it. The only bad thing (and it’s not even that bad) about paleo ice cream is that it is rock solid when you pull it out of the freezer. But just leave it on the counter for 5 to 10 minutes, until it’s easier to scoop. And then once you can get a spoon in there, plop a giant scoop between a couple of paleo chocolate chip cookies and call it dinner. You could totally use a different berry if you really wanted, but if you’re using something with seeds, like raspberries or blackberries, I would blend them separately and then strain out the seeds. Because who wants seeds in their paleo ice cream? I’m the Paleo Fanatic over at Food Fanatic! 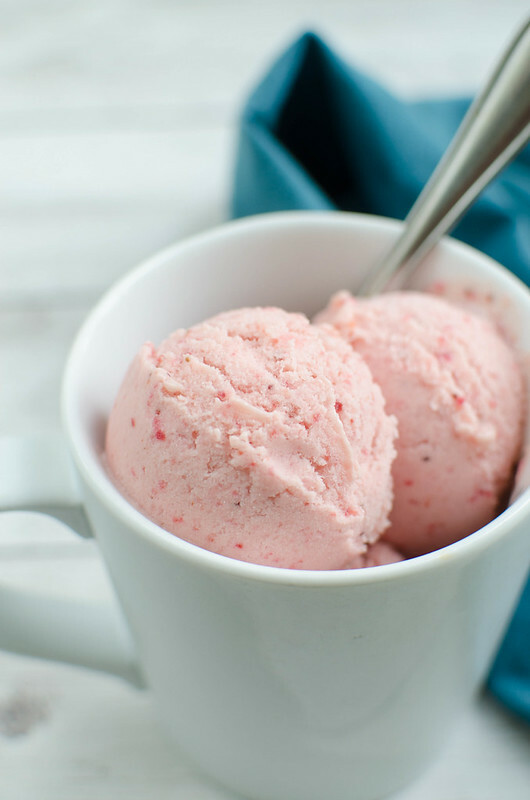 This Paleo Strawberry Ice Cream recipe is one of many I’m sharing over there so make sure you check back!